Description: Currently, companies develop products for customers, but new research, based on three worldwide multi-decade surveys, shows that this paradigm is flawed - customers are generating massive amount of product innovation and consider themselves a major source of innovation. In the UK, customers spend more on innovation - in the billions! - than companies themselves. These customers-turned-innovators have become a source of totally new products and product improvement for both B2B and B2C services, while tools for design and prototype construction are getting more accessible to "garage shops." So who are these customer-innovators? What and where are they spending? What is causing them to innovate? What are their demographics? And, most importantly, how can they be incentivized to share? 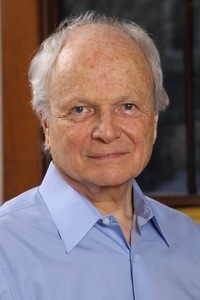 In this BPMA and MIT Sloan joint-event, speaker Eric von Hippel will address these questions and more. What the benefits are that companies can expect from such efforts. Place: MIT Sloan, E62-233. This is building E62, street address 100 Main street, Kendall Square, Cambridge, room 233 on the 2nd floor. The building is nearby to the Kendall Square red line T stop and there is a parking garage at the Marriott Hotel.